Strangers to Nature challenges a reading public that has grown complacent with the standard framework of the animal ethics debate. Human influence on, and the control of, the natural world has greater consequences than ever, making the human impact on the lives of animals more evident. We cannot properly interrogate our conduct in the world without a deeper understanding of how our actions affect animals. It is crucial that the human-animal relationship become more central to ethical inquiry. 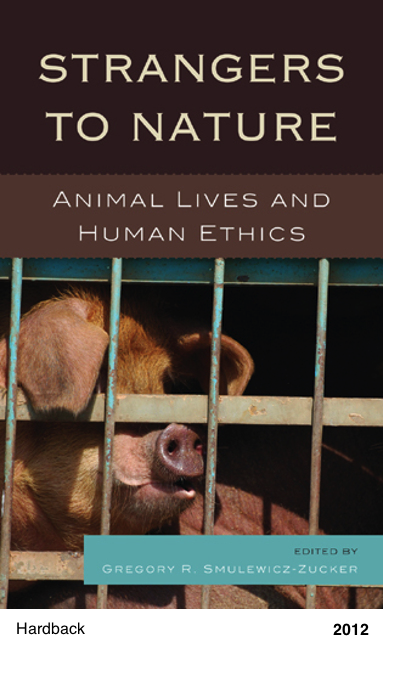 This volume brings together many of the leading scholars who work to redefine and expand the discourse on animal ethics. The contributors examine the radical developments that change how we think about the status of non-human animals in our society and our moral obligations. Strangers to Natures will engage both scholars and lay-people by revealing the breadth of theorizing about current human/non-human animal relationships. A stimulating collection of essays that reexamine, refine, and in some cases refute major philosophical arguments concerning animal treatment, thereby advancing animal ethical theory on a number of fronts.